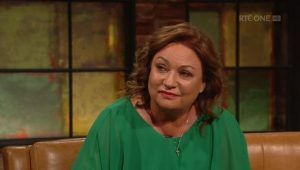 On the Leap of Faith this week, television personality and broadcaster Norah Casey talks about Lent, Faith and self esteem and her support of the World Meeting of Families in 2018. This week Norah Casey was also awarded the Philanthropist of the Year Award. Norah was acknowledged for her significant support for a number of charities including the Irish Hospice Foundation, Women’s Aid and Make-A-Wish Ireland. Previous PostPrevious The Leap of Faith February 2nd.